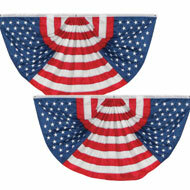 4th of July Patriotic Oversized Bunting from Collections Etc. $14.99 $11.99 Save up to 20% Now! 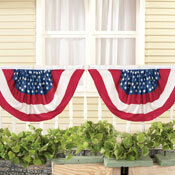 Decorating for the 4th of July is so simple with this festive red, white and blue bunting. Simply hang it from a porch railing, fence or above a garage, and this 6-foot long colorful bunting will make an impressive display! It's easy to hang with the three metal grommets along the top. Spot clean. Polyester; imported. Measures 72"L x 36"H.
Look great on my fence!!! Makes a great display on fence. Beautiful guality, and larger than I thought!! - Holiday House, Rancho Cordova, Calif.
Beautiful! One of the nicest I've seen! Love the size! - none, Millboro,Va. I would buy this product again if needed. Would buy again at this price. Use for holiday celebration.  - JohnnyB., Ga.
Use the product on holidays - JohnnyB, Ga.